so easy to make that you don’t need baking skills. Prefect oven to 375 degrees F. (190 C), place one sheet of puff pastry on parchment paper lined cookie sheet. Cut into a tree shape. Spread evenly with Nutella. Top with second sheet of puff pastry, trim to the shape of first pastry sheet. Cut slices along the sides of the tree to resemble branches, leaving the centre attached as the trunk. Twist each branch way from you, try to get two twists. Cut a small star out of the left over pastry. Place on the top of the tree. Brush with egg wash. Bake until golden brown, app. 15 minutes. Dust with icing sugar. 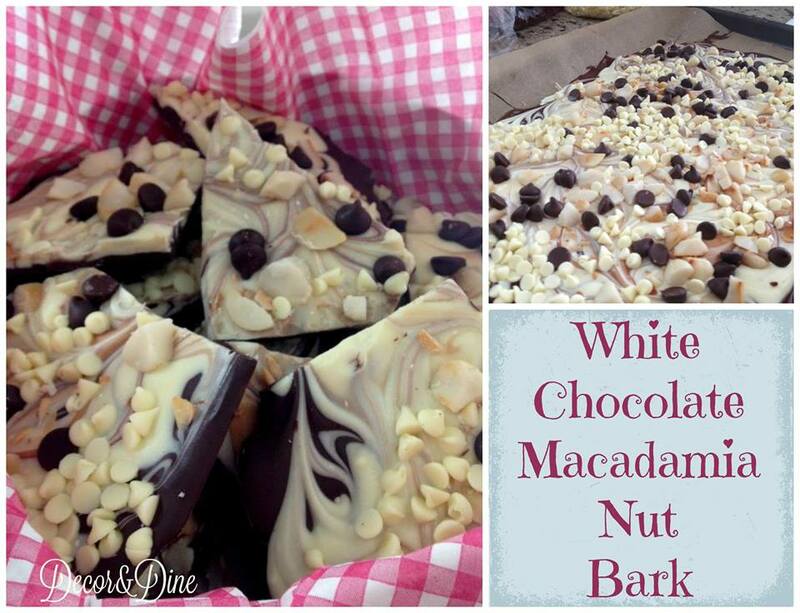 #2 White Chocolate Macadamia Nut Bark.…need I say more!!!LOL!! Makes a great gift as well!! Line a cookie sheet with waxed paper. Melt 1 3/4 cups semisweet chocolate chips in the microwave for 2 minutes, stirring every 30 seconds until smooth. 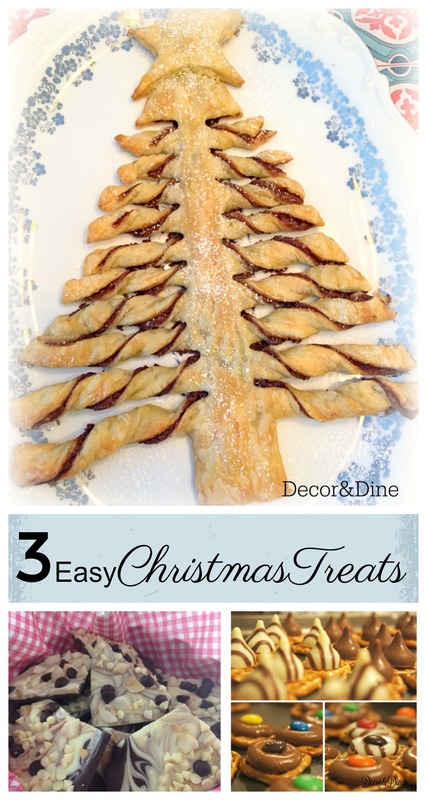 Pour melted chocolate onto cookie sheet and spread to cover entire surface and form an even layer. Melt 1 3/4 cups white chocolate chips in microwave the same way as the other chocolate. Drizzle melted white chocolate over the semisweet chocolate layer. To create a marble effect use a toothpick or skewer and swirl melted chocolates together. Sprinkle with nuts and remaining 1/4 cup semi sweet chocolate chips and 1/4 cup white chocolate chips. Gently press toppings into melted chocolate. Refrigerate 30 minutes or until chocolate is firm. Remove waxed paper from chocolate and break into bite-size pieces. #3 These Pretzel Kiss Bites make a delicious snack! 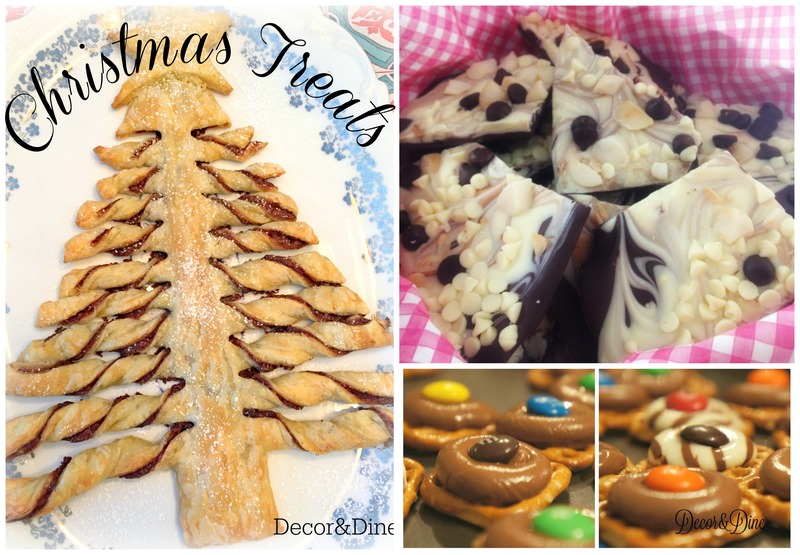 It’s a fun treat to make with the kids. Line a cookie sheet with parchment paper and lineup mini pretzels. 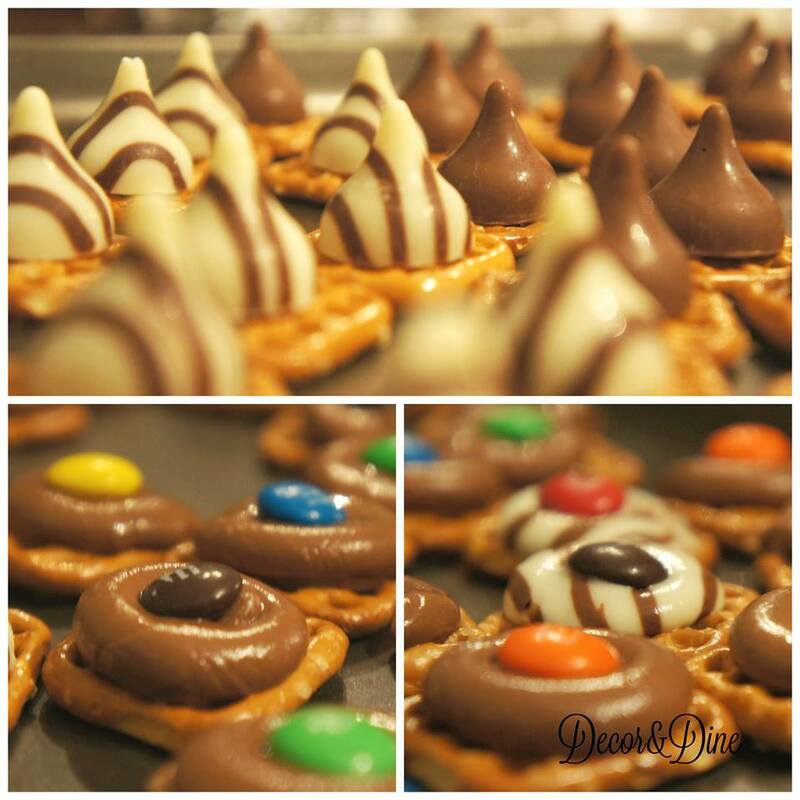 Top each pretzel with a Hershey Kiss. Place in a 275 degree oven for 3 minutes. Remove from oven and immediately press an M&M on top of each Kiss. Let cool and harden before serving. Try different kinds of Hershey’s kisses to change up the flavour. 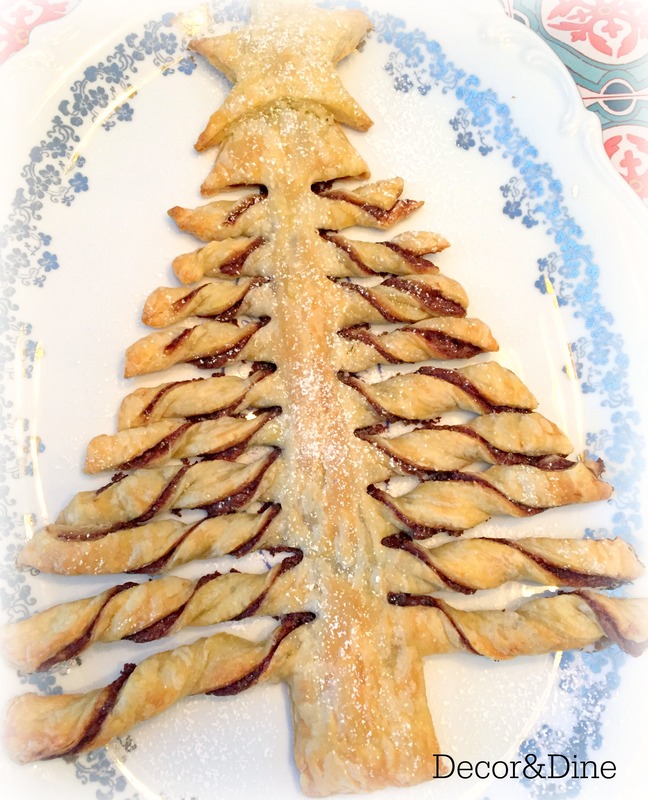 Brian & I are making Nutella Christmas trees this week. Looks amazing!! The boys will love them. Merci! !